Several Spotify-related sites combine album reviews from multiple sources with links to listen in Spotify. 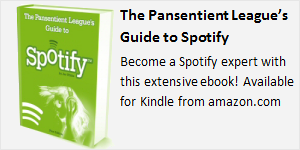 Biblify is one, along with Pitchify and Spotimy. 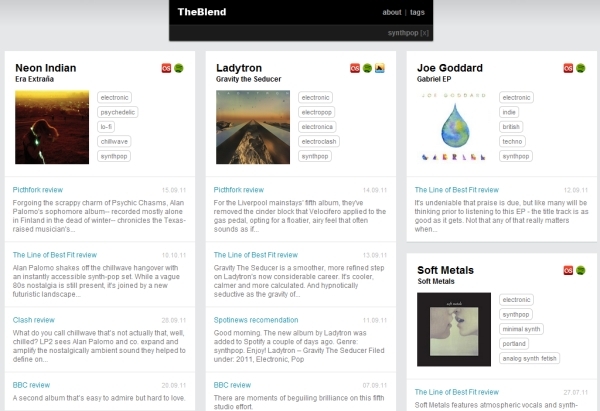 New site TheBlend is the latest, combining reviews from eight different resources with Last.fm genre tags to create a slick and easy-to-use website. 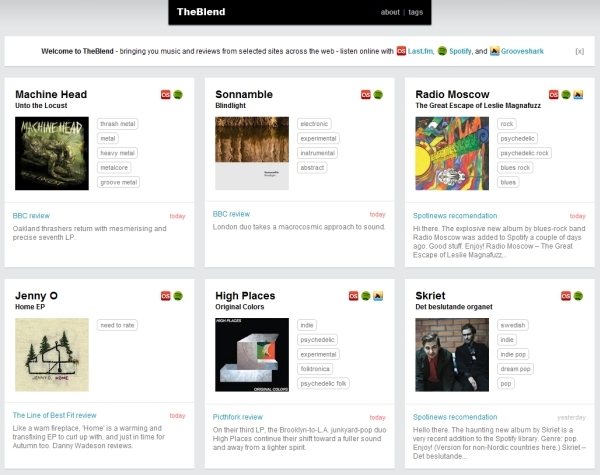 TheBlend aggregates reviews from across the web and adds links to Last.fm, Spotify, and Grooveshark. 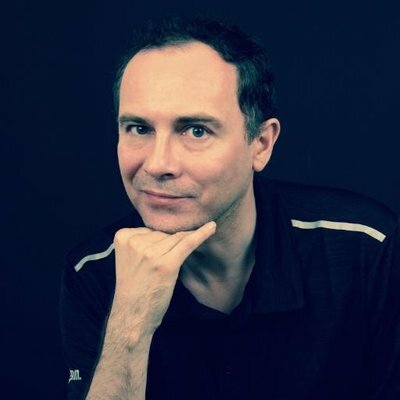 Developer Nick Langridge created TheBlend because he wanted “a way to get new music from my favorite sites without having to check them all for new content every day.” Sites referenced include BBC Music, Pitchfork, Resident Advisor, Spotinews and The Music Ninja. TheBlend shows a list of albums (with the most recently-reviewed at the top), each with a set of tags and links. Clicking the Last.fm icons takes you to the Last.fm page for that artist, while clicking the Spotify icon opens up the album in Spotify. Reviews are summarized with the date and links to read the full review on the originating site. TheBlend is a great addition to the Spotify community and has already become one of favorite review aggregator sites. 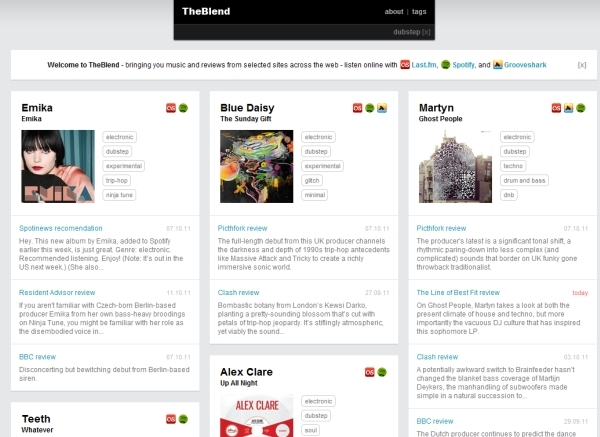 Nick tells me that future plans for TheBlend include an archive search, the ability to connect a Last.fm account for personalized views, multiple tag views and a “show all tags” option. Provided he keeps the site’s easy-to-use design aesthetic, I’m really looking forward to seeing some of these additional features.